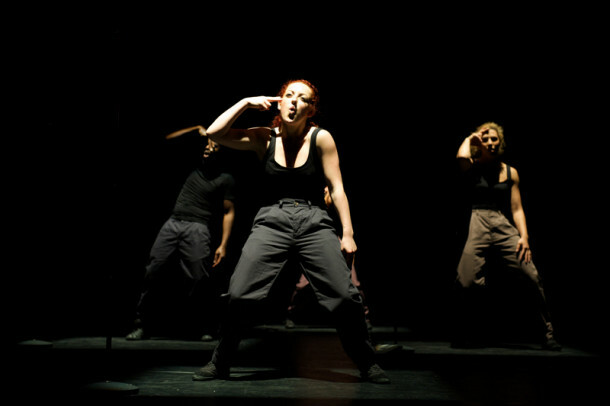 Vocab Dance Company’s mission is to entertain, inspire and create accessible and thought provoking work for both local and international audiences. Founder Alesandra Seutin aims to bridge the gap between contemporary dance and African based styles. The company is renowned for its multidisciplinary performances; the work sits in an interesting place merging forms to create one vocabulary; it is therefore not what either Western or African audiences might expect but an exciting hybrid. Performer, choreographer, teacher, Alesandra Seutin was born in Harare, raised in Brussels and trained in London where she has made her residence. Her work has toured nationally and internationally and she is progressively emerging as an artist making marks across continents. Alesandra has been running Vocab Dance Company since 2007. She combines African traditional dance with contemporary dance and Hip Hop to create distinctly Afro-European dance. As an independent choreographer she has created work for Phoenix Dance Theatre, 12º North Dance and most recently State of Emergency’s 2014 tour. She has also acted as Movement Director for two plays at Theatre Centre. 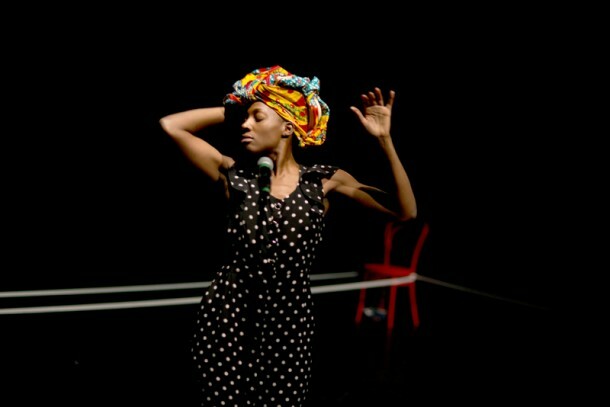 Alesandra was one of 17 artists, and the only UK based artist, selected by iconic dance artist Germaine Acogny to take part in Acogny technique transmission project at the international dance centre, École des Sables in Senegal. In 2014 Alesandra become a ADAD Trailblazers Champion. 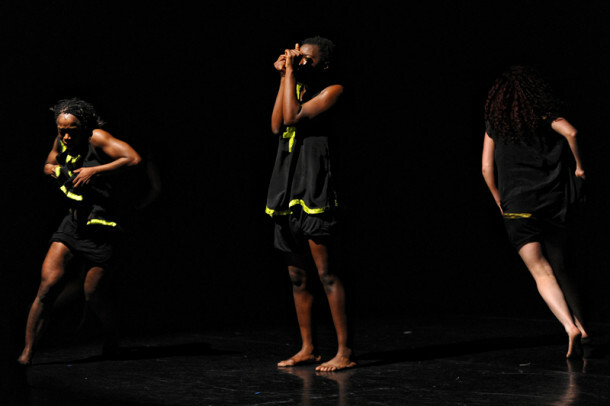 Ceci n’est pas Noire is a melange of dance, theatre, spoken word and song. It is the journey of a mixed-raced woman down memory lane, a winding road between Europe and Africa. As perceptions of her change from place to place, she plays with masks, roles, attitudes, and highlights the idea that what you see is not always what you get! 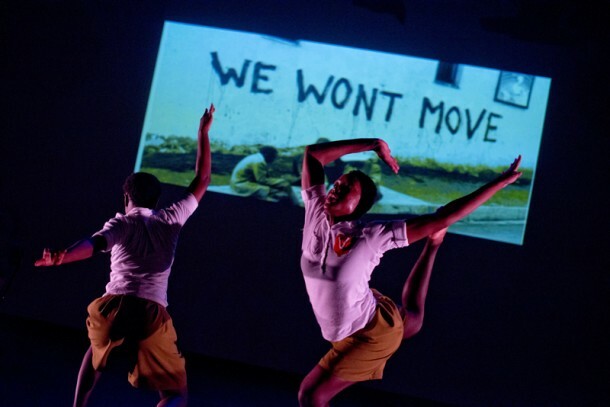 The full length version will premiere in September 2014 as part of Africa Utopia at South Bank Centre. A still picture can speak volumes, looking at photographs taken during ‘The Soweto Uprising’, here Alesandra explores the journey that led children to have been captured in such outspoken images. Currently in development is a new outdoor work that uses dance, music and spoken word to look at youth culture and the rise of inner city crime. The piece will be set amongst a housing estate and inspired by the life accounts of a local community. Alesandra brings together an exceptional group of collaborators, including Jonzi D, Randolf Matthews, Miguel Atwood-Ferguson and Ayanna Witter Johnson. 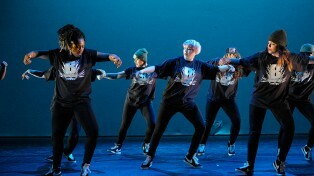 Alesandra Seutin and Vocab Dance Company embrace the idea that individuals have the power to live in the movement and to express themselves boldly. The objective of the classes and workshops they teach is for the participants to find their level of challenge, comfort and to take part regardless of their abilities; whilst appreciating the joy of movement. All classes encourage participants to dance fully and live in the movement accompanied by a pulsating mix of Afro beats or live drums! "The regal Alesandra is a commanding presence ****"
"'Frusted' by Adiaspora Collective, was dynamic, vigorous and unique. The most moving and innovative dance performance we've seen since Uprising by Hofesh Shechter. The way in which Vicki Igbokwe and Alesandra Seutin blended urban and Seutin's own Afro-Eclectic contemporary dance style was truly breathtaking. "